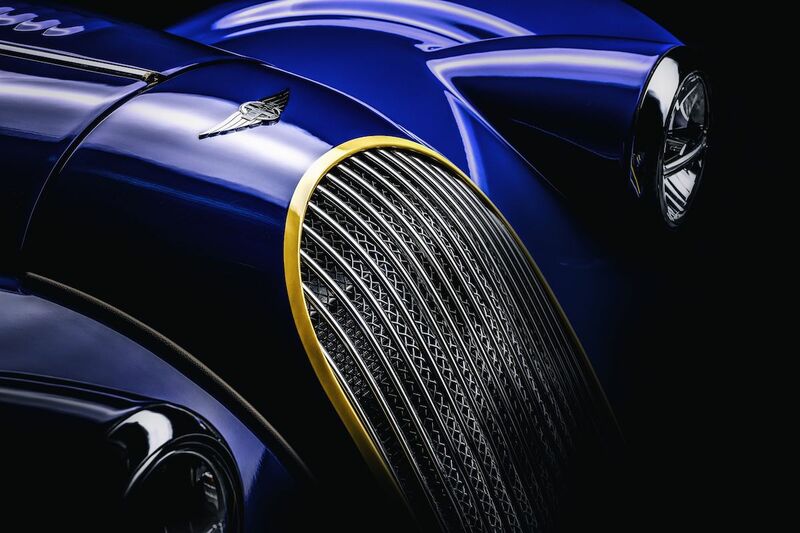 Morgan Motor Company released a handful of teaser photos Tuesday for the new Plus 8 50th Anniversary Edition, which will be revealed at the Geneva Motor Show March 6. 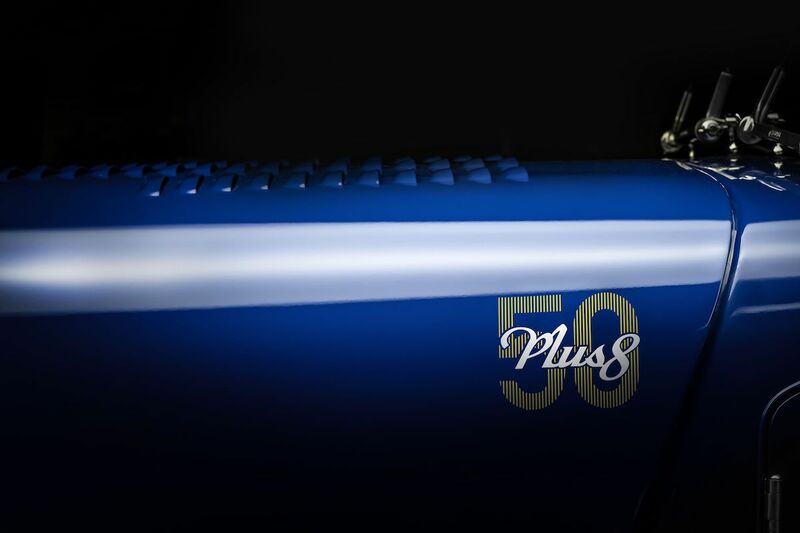 The Worcestershire, England-based car company is celebrating the iconic Plus 8's 50th birthday, which first debuted in 1968 at the Earls Court Motor Show in London. This sports car rocked a bulletproof Rover V-8 engine and featured only minor stylistic changes throughout its original 36-year production, ending in 2004. Morgan revived the Plus 8 in 2012, which retained the classic Morgan shape and was then powered by a 4.8-liter V-8 courtesy of BMW. The new Plus 8 will utilize this same engine, but it will be the last time Morgan uses the naturally-aspirated V-8 in any of its models. The company plans to build 50 of these Anniversary Editions, and each will feature a special plaque that denotes its number on the assembly line. 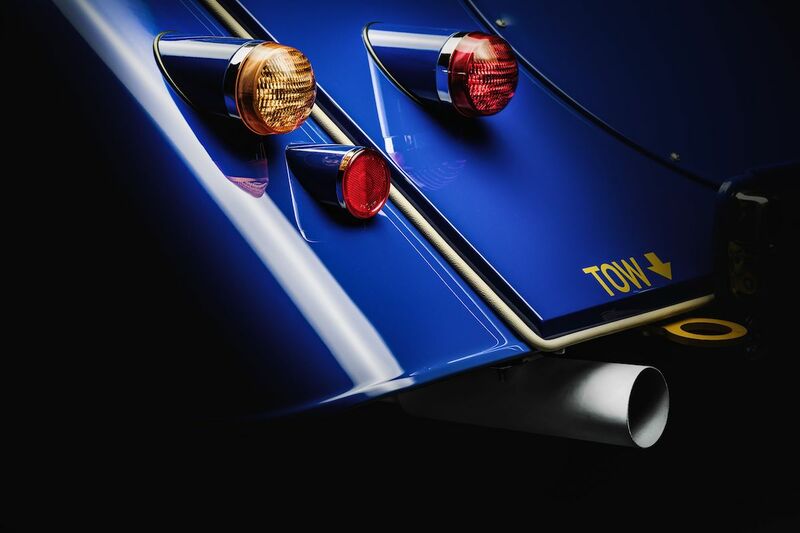 Every example will be finished in a blue lacquered paint with contrasting yellow on the grille, hood, and trunk area, which takes inspiration from the first production Plus 8 ever built. "This 50th Anniversary Edition is a fitting illustration of the Plus 8’s beauty and finesse, coupled with raw exhilaration and capability," said Steve Morris, managing director of Morgan. "Performance has underpinned every one of the Plus 8s that have driven out of our factory gates for 50 years and we’re excited to reveal the car in full in Geneva." We're excited to see the car in all its glory in Switzerland in a few weeks. Morgan is one of those car companies that stays true to its British roadster roots, which is obvious in the Plus 8's classic bodywork.